Budgeting season is quickly approaching. Energy and utilities are a significant portion of a university’s expenditure, especially for a campus with geographically dispersed buildings and possibly over many locations. But, how much energy is consumed during the day or the year, and at what price? Typically, there’s little visibility into usage, costs, real-time consumption and lack of specific historic information which can make it difficult to plan and forecast usage. Knowledge-based decision-making by COSMO PSIM+ can help you understand the active and passive energy activity and provide efficiency information on one or more screens. With the ability to choose from a variety of consultative dashboards, the administrator can investigate in greater detail, thereby providing valuable insights into where power savings could be made. 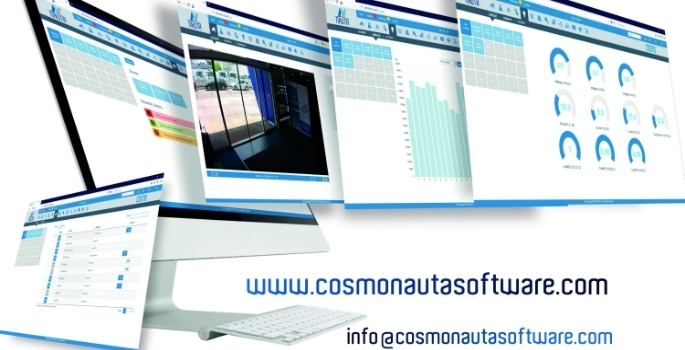 In conclusion, COSMO PSIM+ can be effortlessly used to collect real-time statistical data from disparate devices and locations, managing them in an intuitive user interface, which operators of differing abilities can comfortably use.